The home of beautifully made and installed plantation shutters and blinds.We are a family run company based in Woking and a studio in Farnham, with years of experience, having also worked for the shutter supplier for many years. 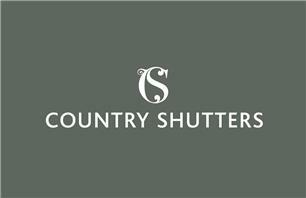 Country Shutters has evolved from the architectural practice of Laura Patten Architects. We also supply all types of Blinds from Roller Blinds through to Sail Shades and Pergolas. We are Surrey’s largest DIY Shutter and Blind supplier to the trade and public, with years of experience. Our shutters and blindsare made to measure and will perfectly fit any window, guaranteed. We offer a free site survey, simple to order and install, helping you all the way. Surrey, Sussex, Hampshire, Dorset and Berkshire.